Please share these dates with your friends and come to meet me. 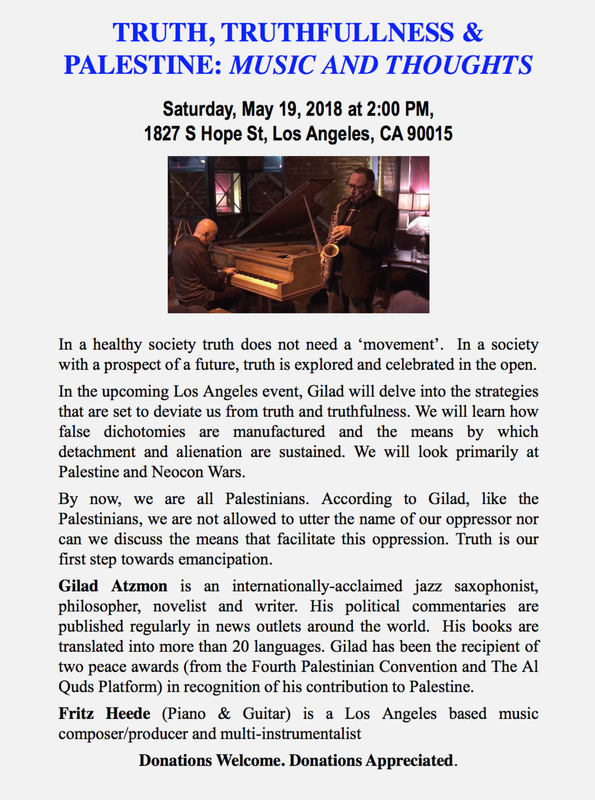 Saturday 12 May, Rich Forer and Gilad Atzmon with WE ARE CHANGE Denver 6.30 pm. 7401 W. 59th St, Arvada, CO.
Sunday 13 May, 12.00 Rich Forer and Gilad Atzmon, Truth and Truthfulness in America a private meeting in Denver, Co. Please contact me if you want to attend. Tuesday 15 May, Today is the Day, Truth, Truthfulness and Palestine, The Clackamas Truth and Inquiry Group at 15815 SE 82nd Dr., Clackamas, OR in the Denny’s Banquet Room at 7 pm. Thursday 17 May, Morning talk in SD. This event is private - if you want to attend please contact Gilad. 14-25 Aug, festivals, concerts, workshops in Cyprus, details soon. 8-10 With, World Music festival- Thessaloniki, Greece. 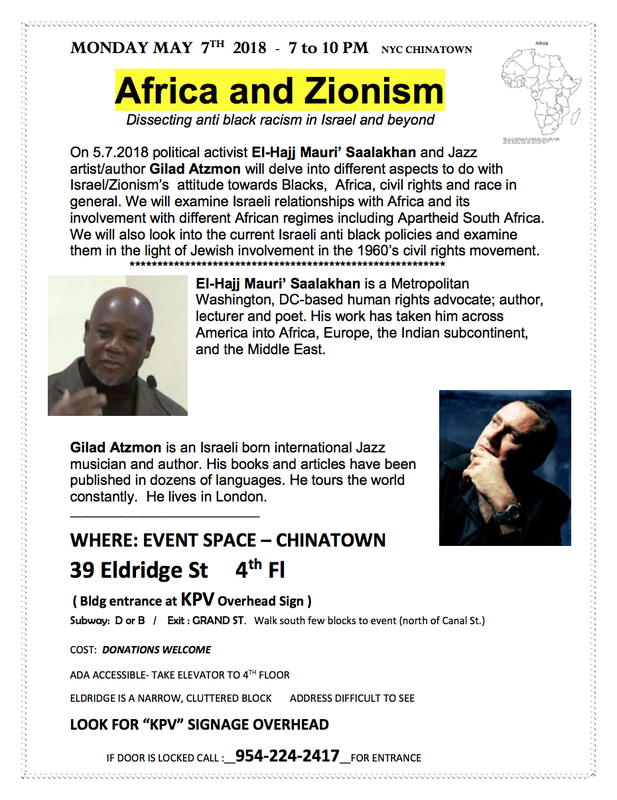 Sat 3 November – Gilad Atzmon and Ross Stanley, Suffolk.